Session beers are all the rage right now. Imperial stouts and double IPAs have their place, to be sure, but craft beer consumers are increasingly demanding more flavor from less alcohol. (Look for Jennifer Talley’s Brewers Publications title Session Beers, available September 2017.) In response, homebrewers and commercial brewers are conjuring up some wonderful new styles even as they revisit established ones. 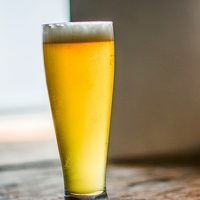 Session IPA is perhaps the most visible member of the new guard, but for my money, there are few more satisfying session beers than Bavarian wheat beer, also known as hefeweizen, weissbier, and weizenbier. Yes, the style’s typical 5 to 5.5% alcohol by volume (ABV) places it slightly beyond what many consider session territory, but if you’re seeking big flavor and bigger refreshment on a hot summer’s day, it’s hard to beat this southern German classic. Humans have included wheat in beer for as long as we’ve been brewing. 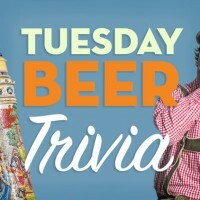 In fact, its popularity as a brewing grain was one of the factors that prompted the original Reinheitsgebot declaration of 1516. Sixteenth-century Europe experienced what historians have called a price revolution, a period of inflation that saw prices increase across the board. Keeping wheat and rye out of the brewhouse ensured that there was enough to go around for baking bread, a nutritionally superior, more energy-dense product. But there was an important exception. The House of Degenberg in Schwarzach—about 80 miles (129 km) northeast of Munich—retained a royal privilege to brew wheat beer, even though it technically violated the Reinheitsgebot. In exchange for payments to Duke Wilhelm IV (co-author of the 1516 decree) the Degenbergers were allowed to continue brewing wheat beer, thus ensuring their loyalty to the Bavarian duchy. In 1602, the Degenberg line ended without an heir, and the wheat beer privilege transferred to Maximilian I, Wilhelm’s grandson. Thus began a state monopoly on wheat beer brewing that earned the House of Wittelsbach a great deal of money for the next 270 years. Only in 1872 did the Wittelsbachs sell their royal privilege to Georg Schneider, whose brewery in Kelheim continues today as G. Schneider & Sohn, producers of the highly regarded Schneider Weisse and Aventinus Weizenbock. Hefeweizen is a delight for the senses. By law, authentic Bavarian examples must be brewed with at least 50 percent wheat malt, though 60 to 70 percent is more common. The large fraction of wheat in the grist contributes a bready flavor with a soft, pillowy mouthfeel and a medium-full body. Hop bitterness is just enough to offset malt sweetness, and there are virtually no hop flavors or aromas. It’s the yeast that really makes this style. Bavarian weissbier strains create powerful esters and phenols that deliver the signature banana, clove, and bubblegum characteristics. The beer is served unfiltered with plenty of yeast in suspension (though German examples are frequently bottled with a lager strain). And pronounced effervescence in excess of 3 volumes (6 g/L) of carbon dioxide, coupled with wheat’s high protein content, creates a thick, fluffy head that looks downright alluring when the beer is poured into its special vase-shaped glassware. South German-Style Hefeweizens are straw to amber. Because yeast is present appearance may appropriately be very cloudy. The aroma of a German Hefeweizen is decidedly fruity and phenolic. The phenolic characteristics are often described as clove-like, nutmeg-like, mildly smoke-like or even vanilla-like. Banana-like ester aroma should be present at low to medium-high levels. Hop aroma is not perceived to very low. Malt sweetness is very low to medium-low. Hop flavor is not perceived to very low. Hop bitterness is very low. These beers are made with at least 50 percent malted wheat. No diacetyl should be perceived. The flavor of a Weissbier with yeast is decidedly fruity and phenolic. The phenolic characteristics are often described as clove-like, nutmeg-like, mildly smoke-like or even vanilla-like. Banana-like ester flavor should be present at low to medium-high levels. Hefeweizen is very highly carbonated. Body is medium to full. 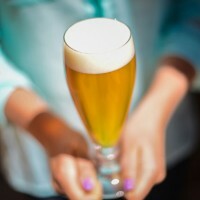 These beers are typically roused during pouring and because yeast is present, the beer will have yeast flavor and a characteristically fuller mouthfeel. During competition, entries will be roused unless instructed otherwise by the entering brewer. 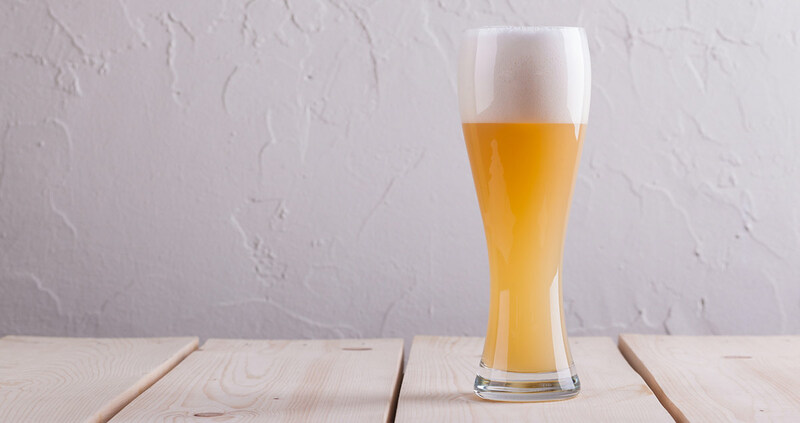 Now that you’re ready to brew your own German wheat beer, check out our tried-and-true homebrew recipes. *Denotes a recipe that has earned gold in the final round the National Homebrew Competition (NHC). Browse through all of our NHC gold medal homebrew recipes. 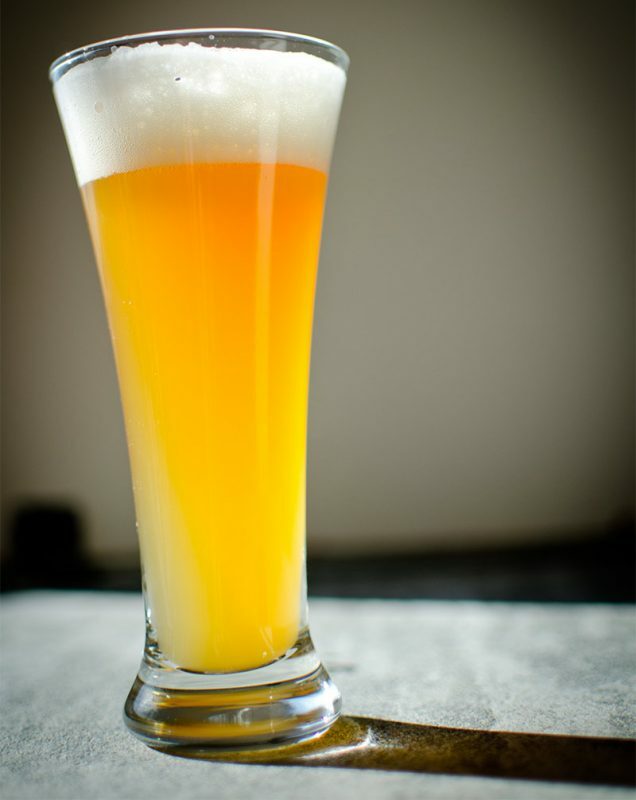 Developing a hefeweizen recipe is straightforward, and it’s a lovely beginner style. Aim for an original gravity around 1.050 (12.3° P), or a couple of ticks on either side, using a grist of anywhere from 50 to 70 percent malted wheat. The remainder can be Pilsner malt, or use light Munich malt for a little extra bready character. Some acidulated malt may be called for to get the mash pH into the sweet spot. Extract brewers can simply use liquid or dried wheat malt extract, which is usually 65 percent wheat and 35 percent pale malt. Steeping a bit of dextrin malt can add fresh malt character. Tettnang hops are intimately associated with this beer style, but any noble (or noble-ish) variety will do. You only need a bittering charge to the tune of 12 IBU or so, and truth be told, you can achieve that with just about any hop you happen to have on hand. Stay away from hops that deliver a harsh bitterness, though. We’re after a soft, inviting sort of bitter. The mash can be as simple as a single infusion at 150° F (66° C), but a traditional decoction mash with rests in the mid to upper 140s °F (mid 60s °C) and the upper 150s to low 160s °F (low 70s °C) can promote a more attenuative wort with enhanced malt character. An optional mash rest at 110° F (43° C) promotes the development of ferulic acid, which hefeweizen yeast later converts to 4-vinyl guaiacol, the compound responsible for the style’s signature clove character. Once you’ve collected your wort, an hour’s boil with a single hop addition at the beginning is all that’s needed. Fermentation temperature is fairly forgiving, and great hefeweizen can be made just about anywhere in the 60 to 66° F (16 to 19° C) range, but a relatively cool fermentation around 62 to 64° F (17 to 18° C) tends to produce the best results. This is a beer style that benefits greatly from an open fermentation, so if your sanitation is good, consider simply covering your bucket or carboy with loose sanitized foil. If you’re unsure, just use your usual sealed fermentation protocol, but leave plenty of headspace and use a blowoff tube. Hefeweizen yeast is aggressive! When fermentation is complete, package and enjoy your hefeweizen as soon as possible. It’s meant to be consumed young, and it’s entirely possible to go from grain to glass in two weeks if you keg your beer. Aim for 3 to 3.5 volumes (6 to 7 g/L) of carbon dioxide, but beware—this level of carbonation can cause many “normal” beer bottles to explode. If you bottle, use a thicker glass that can handle the elevated pressure, or go with plastic PET bottles to be totally safe. For more great information on Bavarian weissbier, check out Eric Warner’s definitive German Wheat Beer and Stan Hieronymus’s Brewing with Wheat, both available from Brewers Publications. 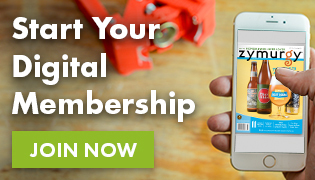 Dave Carpenter is editor-in-chief of Zymurgy magazine.